Wow thank you Oliver you just blew me away, it is nice to see we get an update soon after the other! Please update the scenery to the newest version. 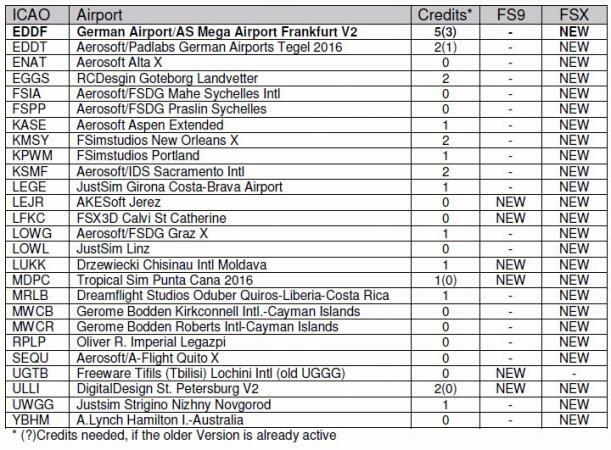 Hello Oliver I have same error I have new down load and installed LEVC so version 1.10 the new AES 2.42 and the error is coming from the SODE 1,3 that comes from LEVC its causing problems on a couple of other airports. Yes, it is always a problem to use older SODE Version together with the new Versions 1.3.x, that will not work. Then you can remove and reinstall the Addons. When all is done, AES will detect all Airports in the new SODE Config and this Error should be gone and SODE will work correct with all the other stuff done by SODE files. When i run the installation folder i can see on the install screen version 2.41.It is correct? Well Oliver looks like I have been grounded. Stupid me did not make a back up and the addins in the taskbar have gone eg FSUICP EZDok PMDG still the AES still did not function. I have tried a system recovery but still after 1 hour my computer has still not booted. never SODE off again. Tell your ground staff they can go on holiday. So everything up and running again except AES at LEVC I have tried all things said with no ayail. Can you please test, if anything changed regarding LEVC activation, when you start AEShelp with Run as Administrator? Will check it tomorrow with SODE 1.3.2, had only 1.3.1 before. Same result when running as Administrator after installing SODE 1.3.2 just havent reverted to 1.41 this time. AES shows LEVC but in dark green and "off" is shown As it is normally is in red when you don't have the airport..
same as above and in addition AES LIB file present in LEVC scenery folder so its beiing picked up OK just not activating. When you use SODE older then 1.3.0, where the SODE Folder is below <FSX> Mainpath, all will be fine. 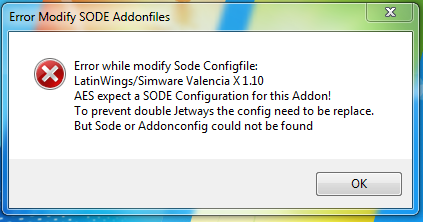 When you use SODE 1.3.0 or newer, you must take care, that you delete the old SODE Version complete, also the SODE Folder below FSX Mainfolder must be renamed (for example in SODE-OLD) or deleted. Will change this part in my code for next version to handle it better here. At the moment AESHelp "thinks" the old SODE Version is still active, when it folder the SODE Folder below FSX Mainfolder. Hello Oliver, I tried KDEN airport flightbeam gate B38 after installing AES 2.42 but only one jetway is connecting to PMDG 777 at gate B38 did you forgot to fix this? Flightbeam scenery KDEN Denver Int aiport one jetway is connecting? Unpack the attached file to the <FSX>\Aerosoft\AES\DATA Folder an replace the old file. Confirming my suspision this is AES error latest SODE log shows allxml files inc LEVC present and working correctly(see attachement) also jetways seem to have been disabled in sim. I found the issue, is a missing file in the installer of 2.42, must be fix on Monday. Have add the fix for that at the first post here. Users who had LEVC in Version 1.10 already running with 2.41 and installed 2.42 just over the old version, will not see this issue, as the file is already there. 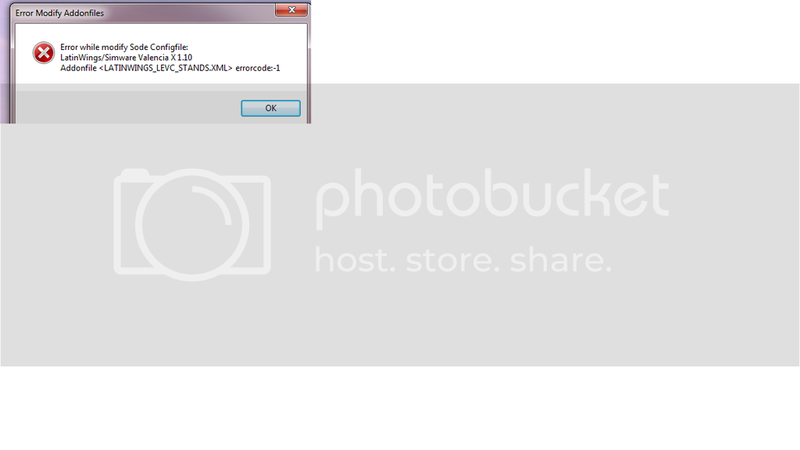 User who get the Error posted here in Post #10 will have the issue with the old <FSX>\SODE Folder. So both are different issues, which I can not change before Monday by replacing the Installer by Aerosoft. The installer of the scenery had placed the jetway simobjects at the wrong location, so they will not be fould be SODE and the FSX. Thanks Oliver did think it was a location issue but never thought of that one!